Back in 2014, when wildlife photographer David Yarrow was trying to achieve the ‘widow‑maker’ of all lion shots; that of a lion charging towards the camera, he travelled to South Africa to enlist the help of Kevin Richardson. At the end of a long and dusty day, with nothing more serious than a bruised knee, they got the shot, aptly titled ‘The Full Nine Yards’, and a friendship was born. David is passionate about conservation and has a long partnership with the African Conservation charity, Tusk Trust, whose Royal Patron is HRH The Duke of Cambridge. His work is exhibited in leading galleries around the world, from cities such as London, Paris and Amsterdam to Los Angeles, Chicago and New York. Also, a limited-edition piece of David’s work recently sold at Sotheby’s New York for $100,000 which has firmly established his name in the industry as one of the world’s best-selling fine art photographers. In 2017, a total of $1.4 million was raised through donations of his prints for sale in charity auctions. His ability to tell stories through photos is enviable, and his commitment to wildlife and community conservation is clear in each and every shot he captures. It stood to reason, therefore, that when Kevin created his new foundation, the first person he invited to be an ambassador of the foundation, was David Yarrow. Rodney was born in 1977 in the largest hospital in the Southern Hemisphere – Baragwanath Hospital – situated in the Soweto, one of South Africa’s most famous townships in Johannesburg. Growing up in the townships his love for animals was soon evident when he started rescuing dogs at a young age. However the political climate at the time was one of unprecedented unrest, making it an unlikely environment for him to develop his interest in nature and animals. By 1985 South Africa was in a state of emergency and Rodney soon began to participate in the protests; at times finding himself caught in the crossfire between the Apartheid regime’s police service and township dwellers. His father then decided to move his children to the former Ciskei Keiskamhoek to live with a family friend and later in 1987 they moved to Butterworth where his mother was born. In 1990 Rodney’s father moved him once again, this time to live in Port St Johns – his father’s rural home and place of birth. Here on the beautiful wild coast of the Eastern Cape his love for animals and nature was reignited and able to flourish. It didn’t take long for Rodney to become a household name in the villages as he looked after many dogs and cats. Although immersed in the nature he so loved, growing in up in a rural area without any career guidance left Rodney in a difficult position when it came to choosing a path for study. 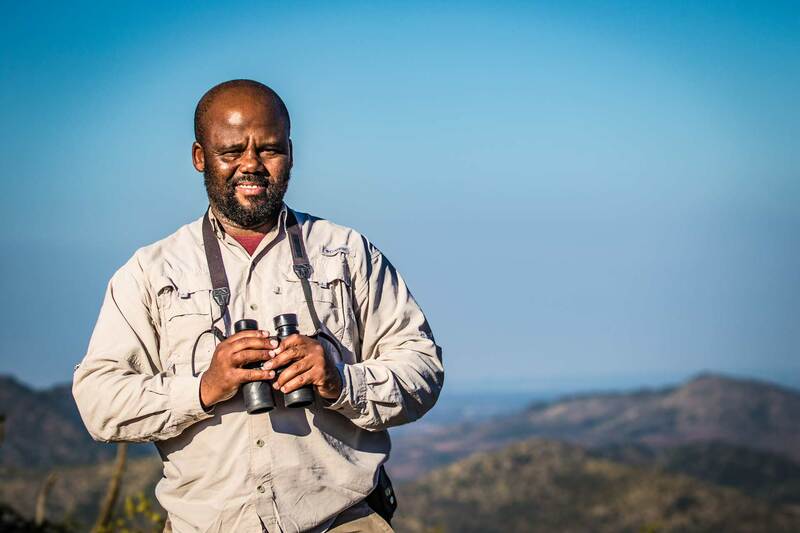 He eventually enrolled for a diploma in Nature Conservation with the Universdity of South Africa and moved back to Johannesburg to complete his course. Thriving in this space Rodney was chosen as one of a few promising students by the Endangered Wildlife Trust where he was mentored under the leadership of Daniel Marnewick who led the Student Conservation Programme at the time. It was during this time that Rodney was introduced to the South African Lion Park together with his best friends Solly and Eric. Working with animals at the park came naturally to Rodney and it was not long before he transitioned from casual worker to full time employee. It is here that Rodney met Kevin Richardson who was to become his lifelong colleague and friend. Their style of working with animals – engaged and without force – was very similar and thus created a unique understanding between the two men that would result in Rodney becoming Kevin’s right hand man during that time. Rodney and Kevin worked together for 12 years before Kevin moved on to establish his lion Sanctuary. 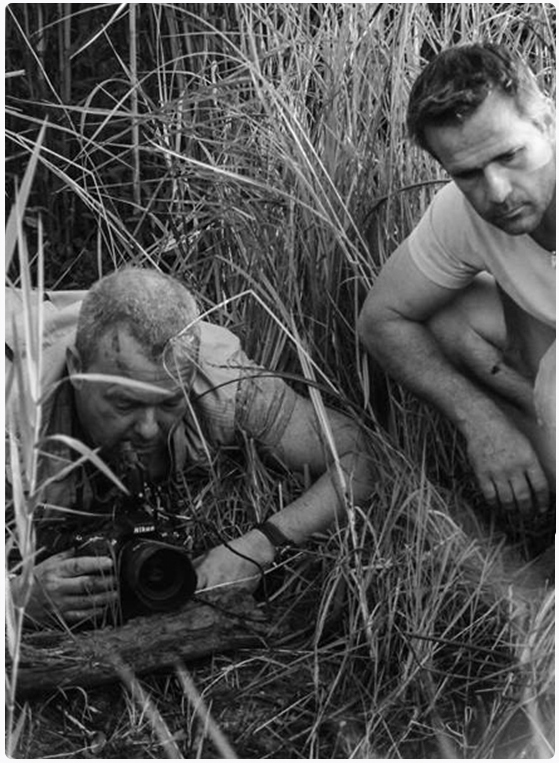 Rodney founded his own safari company where he still works as a guide and wildlife photographer.